Bitcoin Mining Device In A Close-up Shot. IT Industry. Cryptocurrency Business. Banque D'Images Et Photos Libres De Droits. Image 91937012. Banque d'images - Bitcoin mining device in a close-up shot. IT industry. Cryptocurrency business. 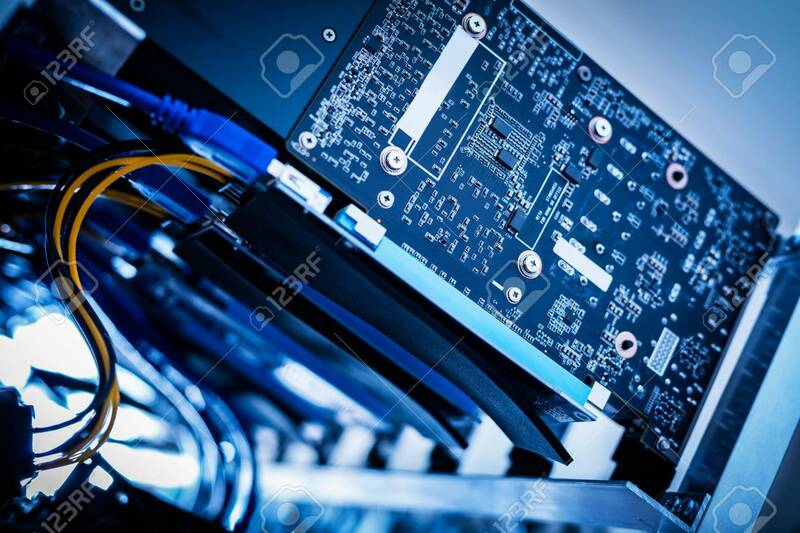 Bitcoin mining device in a close-up shot. IT industry. Cryptocurrency business.